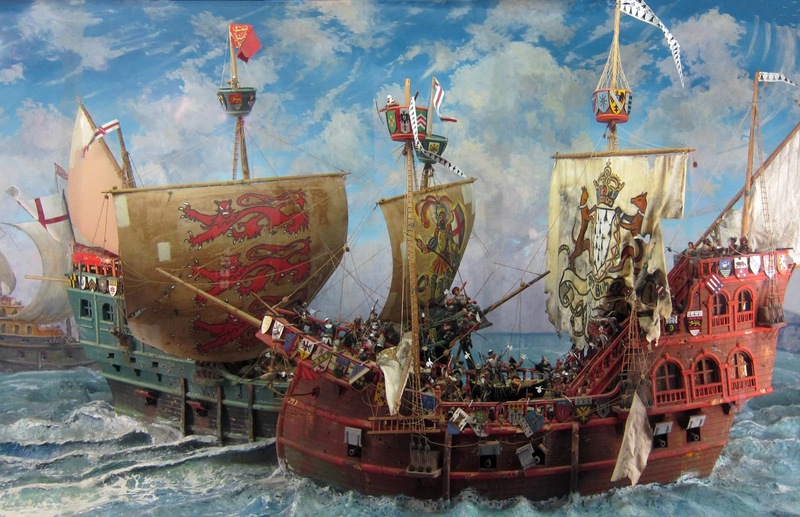 New research arried out in June 2018 to try to find the Cordelière, a flagship of the Franco-Breton fleet, missing at sea, during a battle against the English in 1512... ! 500 years later, maritime history enthusiasts, in partnership with the Brittany region, still hope to find the wreck of this ship off Brest. 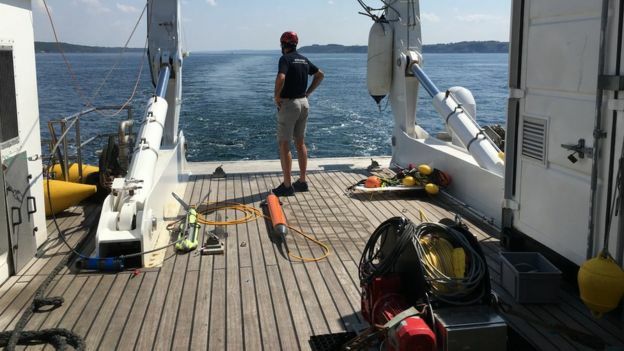 André Malraux, DRASSM research vessel deploying various electronic detection means on the survey area necessary to characterize anomalies likely to indicate the wrecks sought. "I am not so young any more, and I think this may be my last mission. If I can locate the ships, then leave them to my colleagues to excavate, I will be a happy man." 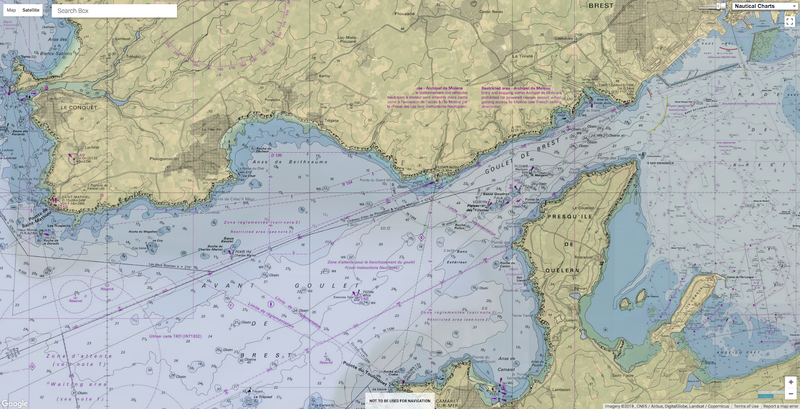 After initial unsuccessful searches between 1996 and 2001, a new three-week campaign will therefore begin around 20 June in an area of 25 km2 between the 'goulet de Brest' and Point Saint-Mathieu, in waters up to 40 metres deep. For the French, or rather for the people of Brittany, the Cordelière has mythic status. She was the flagship of the duchy's last independent ruler and revered heroine, the Duchess Anne. And she was captained up until the moment of sinking (and his death) by another Breton hero, Hervé de Portzmoguer, a kind of patriot-corsair. His Frenchified name Primauguet is still given to vessels of the French navy to this day. If anything, the Regent was the bigger ship. And if Henry VIII's Mary Rose is anything to go by, then this would be a stupendous find indeed. 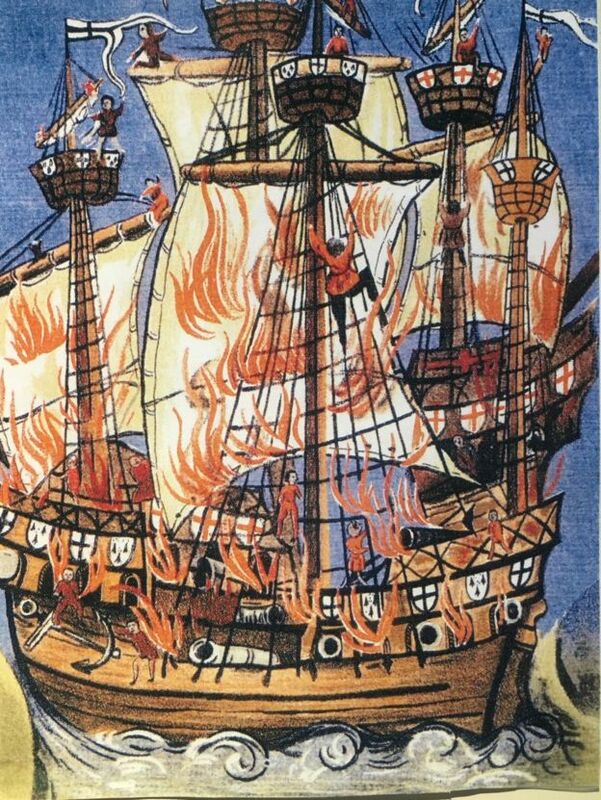 Contemporary picture of the Breton Marie-la-Cordelièreand the English Regent flagships ablaze. On 10 August 1512, the Franco-Breton fleet was at anchor off Brest when it sighted the approaching English. Most of the French ships made haste to get to safety through the mouth of the inner bay of Brest, a passage known as the goulet. But the Cordelière and two other ships stayed to fight off the attack. The Regent bore down on the Cordelière and for two or three hours there was close-quarters fighting. But then, and no-one knows why, it all ended with a massive explosion. The two ships, entangled in battle, sank together to the bottom. Tides and currents have been recalculated. Previous efforts had failed to spot that the calendar changed in 1582. 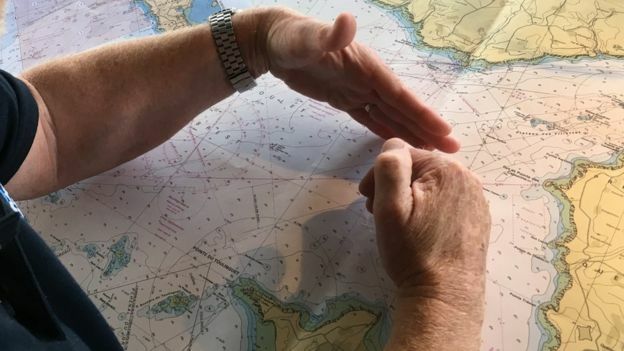 Naval charts of the sea floor have been re-examined. Historians are looking through the few contemporary accounts of the battle, and the search is on for clues from parish and other archives. "We know that several hundred Englishmen were on the Regent, and many were of noble families. After the battle their bodies will have washed up somewhere on the coast and been given burial," he says. "Somewhere in the archives there are bound to be requests from noble families asking for the repatriation of these bodies. Those requests will contain names of places and parishes. The battle, he thinks, must have taken place in waters to the north of Camaret. So that is where the André Malraux is now in a back-and-forth combing operation, dragging an array of sonar and magnetic detectors. Michel L'Hour (director of DRASSM) Olivia Hulot, co-director of the Cordelière Project, Philippe Alain, product manager engineer at IXBlue, a partner in the project, and Luc Jaulin, professor of robotics at the ENSTA-Bretagne engineering school, facing control screens during the acquisition of prospecting data. But, alas, doubts set in. If this is a warship, where are the cannon? There are apparently none, which means it is probably only a commercial ship. An important find, but not the one they were looking for. 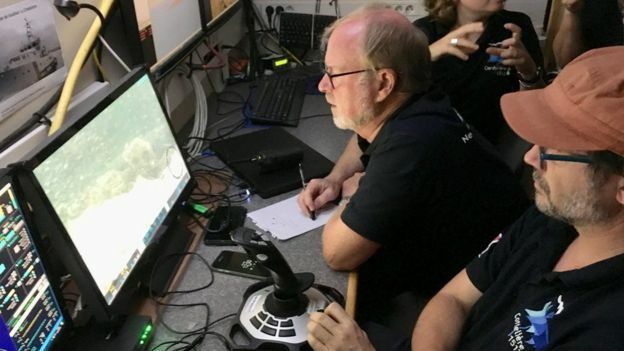 Michel L'Hour is convinced that with all the technology now available the wrecks of the Cordelière and the Regent will eventually be found. The dream is of a museum in Brest. "You know that Cousteau was a hopeless archaeologist. 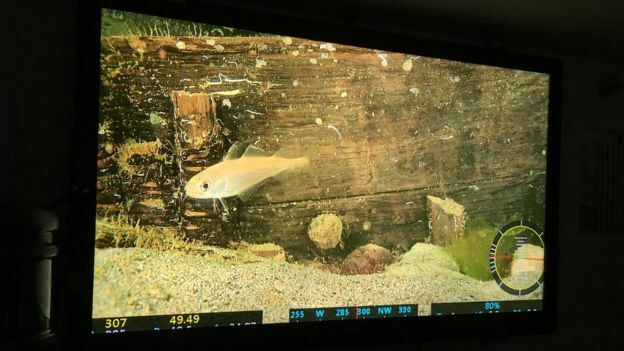 At one of his excavations in the Mediterranean, he completely failed to spot that he was dealing with not one shipwreck but two, one lying on top of the other.